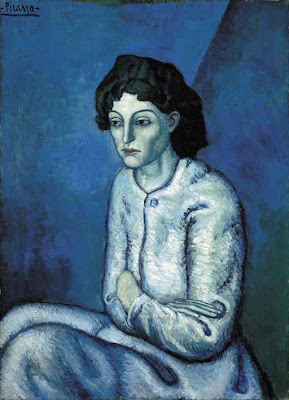 This work, painted in 1901, was a part of Picasso's famous Blue Period, a dark, sad time in the artist's life. The beautiful & various tones of blue are typical. The painting depicts a woman with her arms crossed staring at the endless nothing. Femme aux Bras Croisés was sold for $55,000,000 November 8, 2000, at Christie's Rockefeller in New York City. 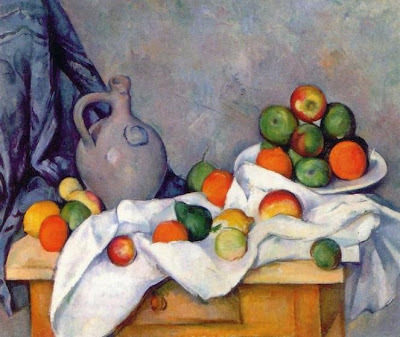 This painting by Paul Cézanne, painted in ca. 1893-1894 was sold for $60,500,000 at Sotheby's New York on May 10, 1999 to "The Whitneys". Whitney, born into one of America's wealthiest families, was a venture capitalist, publisher, Broadway show and Hollywood film producer, and philanthropist. 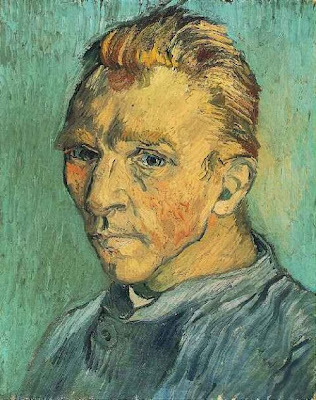 Portrait de l'artiste sans barbe ("Self-portrait without beard") is one of many self-portraits by Dutch painter Vincent van Gogh. He painted this one in Saint-Rémy-de-Provence, France in September 1889. The painting is a oil painting on canvas and is 40 cm x 31 cm (16" x 13"). This is an uncommon painting since his other self-portraits show him with a beard. The self-portrait became one of the most expensive paintings of all time when it was sold for $71.5 million in 1998 in New York. 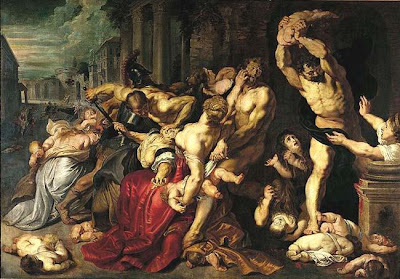 The Massacre of the Innocents is one of two paintings by Peter Paul Rubens, depicting an episode of the biblical Massacre of the Innocents as related in the Gospel of Matthew. This painting by Peter Paul Rubens, painted in 1611, is the only painting in this list which was not painted in the 19th or 20th century. It was sold to Kenneth Thomson, 2nd Baron Thomson of Fleet for $ 76,700,000 at a 2002 Sotheby's auction. 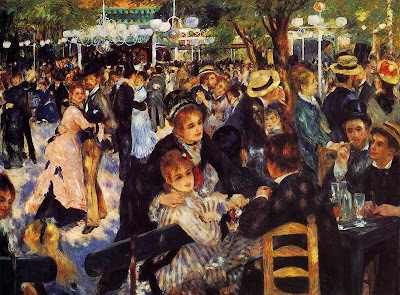 Bal au moulin de la Galette, Montmartre was painted by French artist Pierre-Auguste Renoir in 1876. On May 17, 1990, it was sold for $ 78,000,000 at Sotheby's in New York City to Ryoei Saito, the honorary chairman of Daishowa Paper Manufacturing Company, Japan. 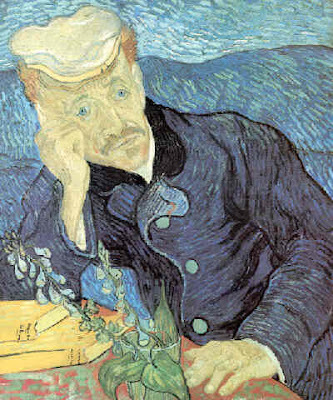 At the time of sale, it was one of the top two most expensive artworks ever sold, together with van Gogh's Portrait of Dr Gachet, which was also purchased by Saito. Saito caused international outrage when he suggested in 1991 that he intended to cremate both paintings with him when he died. Saito died in 1996 ... but the painting was saved. This painting by the Dutch Impressionist master Vincent van Gogh suddenly became world-famous when Japanese businessman Ryoei Saito paid $82.5 million for it at auction in Christie's, New York. Vincent van Gogh actually painted two versions of Dr Gachet's portrait. You can view the other version, with a slightly different color scheme, at the Musée d'Orsay in Paris. This painting near doubled its presale estimate and fetched a record $95,200,000 at auction at Sotheby's on May 3, 2006. It was sold to anonymous buyer and the ownership of the Dora Maar au Chat is still unknown to the general public. 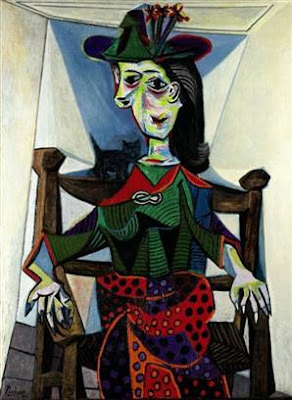 Painted in 1941, Picasso's controversial portrait (one of his last) is sometimes described as an unflattering depiction of Dora Maar, who was an artist/photographer and mistress of Picasso whose relationship lasted ten years during the 1930s and 40s. Garçon à la Pipe was created during the artist's famous Rose Period, during which Picasso painted with a cheerful orange and pink palatte. 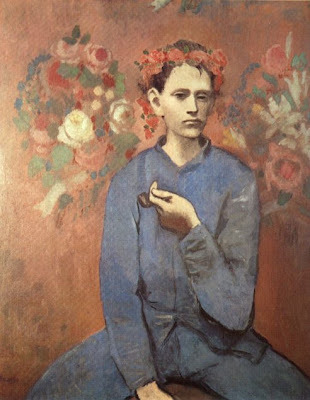 The oil on canvas painting, measuring 100 × 81.3 cm (slightly over 39 × 32 inches), depicts a Parisian boy holding a pipe in his left hand. The record price auction at Sotheby's New York on May 4, 2004 was a bit of a surprise to art buyers, since it was painted in the style not usually associated with the pioneering Cubist artist. The record-breaking sale - which followed a court order by the Austrian government to return the painting to Bloch-Bauer's heir - was the culmination of a years-long dispute over the painting looted by Nazis during World War II. 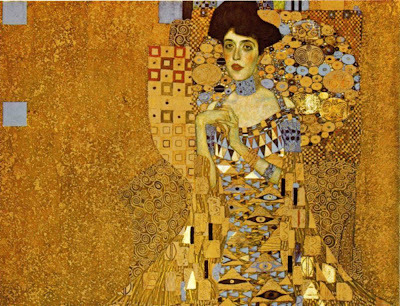 Painted by the art nouveau master Gustav Klimt in 1907, the portrait was purchased in 2006 by cosmetics heir Ronald S. Lauder. According to a report in the New York Times, on November 2, 2006, the painting was sold by David Geffen, founder of Geffen Records and co-founder of Dreamworks SKG, to David Martinez, managing partner of Fintech Advisory Ltd, in a private sale for a record inflation adjusted price of $140 million. Shearman & Sterling, LLP issued a press release on behalf of its client, David Martinez, to announce that contrary to recent articles in the press, Mr Martinez does not own the painting or any rights to acquire it. The sale was never confirmed. Painted by expressionist Jackson Pollock in his trademark "drip" style, the 4' x 8' painting is said to have been purchased by entertainment mogul David Geffen in November 2006.